Arvan, Marcus (2017). The Rationality of Voting and Duties of Elected Officials, In Emily Crookston, David Killoren & Jonathan Trerise (eds. ), Ethics in Politics: The Rights and Obligations of Individual Political Agents. Routledge 239-253. Arvan, Marcus (2017). Experimental philosophy and the fate of the philosopher’s armchair, review of Jennifer Nado [ed. ], Advances in Experimental Philosophy and Philosophical Methodology, Bloomsbury], Metascience 26 (1). Chen, Jason (2017). One Child: Do We Have a Right to More? Sarah Conly, 2016 New York, Oxford University Press 248 Pp., $26.81. [REVIEW], Journal of Applied Philosophy 34 (3):452-453. Freschi, Elisa (2017). Mīmāṃsānyāyasaṅgraha: A Compendium on the Principles of Mīmāṃsā by Mahādeva Vedāntin.Elisa Freschi, Philosophy East and West 67 (2):575-580. Green, Jerry (forthcoming). “Was Pyrrho a Pyrrhonian?”, Apeiron. Killoren, David (2017) Ethics in Politics: The Rights and Obligations of Individual Political Agents.Emily Crookston, David Killoren & Jonathan Trerise (eds.) Routledge. Mizrahi, Moti (forthcoming). The History of Science as a Graveyard of Theories: A Philosophers’ Myth?, International Studies in the Philosophy of Science. Mizrahi, Moti (forthcoming). What’s so Bad About Scientism?, Social Epistemology:1-17. Anyone I missed? Just let me know and I'll update the list! J. Green (forthcoming). Book Review: Breaking Democracys Spell, by John Dunn. [REVIEW] Political Theory. Anyone I missed? Just let me know and I will amend the list! Helen De Cruz (2016). Numerical Cognition and Mathematical Realism. Philosophers' Imprint 16 (16). Helen De Cruz & Ryan Nichols (eds.) (2016). 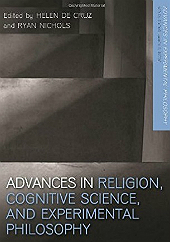 Advances in Religion, Cognitive Science, and Experimental Philosophy. Bloomsbury. Trevor Hedberg & Jordan Huzarevich (forthcoming). Appraising Objections to Practical Apatheism. Philosophia:1-20. Is there anyone I missed? Just let me know and I'll update the list! A. Gelfert, Art History, the Problem of Style, and Arnold Hauser's Contribution to the History and Sociology of Knowledge. A. Gelfert, Hume on Curiosity. A. Gelfert, Applicability, Indispensability, and Underdetermination: Puzzling Over Wigner's 'Unreasonable Effectiveness of Mathematics'. A. Gelfert, Coverage-Reliability, Epistemic Dependence, and the Problem of Rumor-Based Belief. A. Gelfert, Observation, Inference, and Imagination: Elements of Edgar Allan Poe's Philosophy of Science. David Killoren (2016). Why Care About Moral Fixed Points? Analytic Philosophy 57 (2):165-173. David Killoren, Emily Crookston & Jonathan Trerise (eds.) (forthcoming). Ethics in Politics: New Papers on the Rights and Obligations of Political Agents. Routledge. Moti Mizrahi (forthcoming). Why Arguments From Expert Opinion Are Still Weak: A Reply to Seidel. Informal Logic. Anyone I missed? Just let me know and I will update the list! It seems we may have reached “intuitive bedrock”. In so many areas of inquiry (though, perhaps, not all), philosophical argument ends up bottoming out in a mere clash of intuitions, of considered judgments. But what happens now? Because these considered judgments will help determine the content and structure of our philosophical theorizing...[it would appear that we]...need to settle which of these intuitions are the right ones. To put my cards on the table, this seems like an impossible task. Indeed, it’s a task that seems (almost by definition) outside the bounds of philosophical argument...But there’s an alternative. Rather than seeing ourselves as answering the “big questions”, as it were, we see ourselves as exploring how to construct alternative theories, what such theories must take on board, their relations and interconnections without settling which account of the “big question” is the right one. I think Dorsey may be right about one thing--namely, that if and when we truly reach "intuitive bedrock", there may be nothing left for philosophers to do than explore alternative theories, examining their relations and interconnections, etc. However, I also want to suggest that the [admittedly brief] picture he draws of how and when "intuitive bedrock" occurs gestures towards some important methodological lessons. Marcus Arvan (2016). 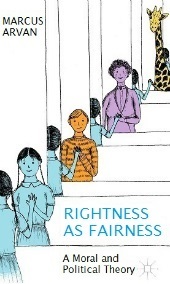 Rightness as Fairness: A Moral and Political Theory. Palgrave MacMillan. Marcus Arvan, Errata - Rightness as Fairness: A Moral and Political Theory. Wesley Buckwalter (2016). Intuition Fail: Philosophical Activity and the Limits of Expertise. Philosophy and Phenomenological Research 92 (2):378-410. Anthony Carreras (forthcoming). Amicably Deceived. Philosophical Papers. Jason Chen (2016). One Child: Do We Have a Right to More? Sarah Conly, 2016 New York, Oxford University Press 248 Pp., $26.81. [REVIEW] Journal of Applied Philosophy 33 (2):n/a-n/a. Trevor Hedberg (2016). Optimizing Hope: A Response to Nolt. In Andrew Brei (ed. ), Ecology, Ethics, and Hope. Rowman & Littlefield 65-82. Moti Mizrahi (2016). Why Be an Intellectually Humble Philosopher? Axiomathes 26 (2):205-218. Moti Mizrahi (2016). Why Gettier Cases Are Misleading. Logos and Episteme 7 (1):31-44. Wesley Buckwalter & John Turri (forthcoming). Perceived Weaknesses of Philosophical Inquiry: A Comparison to Psychology.Philosophia: 1-20. Moti Mizrahi (forthcoming). Skeptheism: Is Knowledge of God’s Existence Possible? European Journal for Philosophy of Religion. Anyone I missed? Just let me know, and I will update the list! E. Freschi. Systematising an absent category: discourses on "nature" in Prābhākara Mīmāṃsā. Supplemento della Rivista di Studi Orientali LXXXVIII.2 (2015), pp. 45--54. Marcus Arvan (forthcoming). Transformative Experience, by L.A. Paul. [REVIEW] Australasian Journal of Philosophy:1-4. Moti Mizrahi (forthcoming). Why Be an Intellectually Humble Philosopher? Axiomathes:1-14. Mark Zelcer (forthcoming). A Glimpse of Some Topics in Contemporary Philosophy of Mathematics. Metascience:1-4. Ben Bramble & Bob Fischer (eds.) (2015). The Moral Complexities of Eating Meat. Oxford University Press Usa. Bob Fischer (forthcoming). Bugging the Strict Vegan. Journal of Agricultural and Environmental Ethics:1-9. Robert William Fischer (forthcoming). Disgust as Heuristic. Ethical Theory and Moral Practice:1-15. Robert William Fischer (forthcoming). Hale on the Architecture of Modal Knowledge. Analytic Philosophy. Axel Gelfert (2016). How to Do Science with Models: A Philosophical Primer. Springer. The paper linked to above was presented at the 3rd Annual Philosophers' Cocoon conference. I benefited immensely from Marcus' commentary and the questions from the audience. Many thanks to all! Bradford Cokelet (forthcoming). Confucianism, Buddhism, and Virtue Ethics. European Journal for the Philosophy of Religion. Helen De Cruz (forthcoming). Religious Disagreement: An Empirical Study Among Academic Philosophers. Episteme. Elisa Freschi (2015). Free Will in Viśiṣṭādvaita Vedānta: Rāmānuja, Sudarśana Sūri and Veṅkaṭanātha. Religion Compass 9:287--296. Axel Gelfert (2015). Inner Speech, Natural Language, and the Modularity of the Mind. Kairos 14:7-29. Moti Mizrahi (2015). Ought, Can, and Presupposition: A Reply to Kurthy and Lawford-Smith. Methode 4 (6):250-256. Moti Mizrahi (forthcoming). Historical Inductions: New Cherries, Same Old Cherry-Picking. International Studies in the Philosophy of Science. Moti Mizrahi (2015). A Reply to James Marcum’s “What’s the Support for Kuhn’s Incommensurability Thesis?”. Social Epistemology Review and Reply Collective 4 (11):21-24. Tuomas E. Tahko (2015). An Introduction to Metametaphysics. Cambridge University Press. Mark Alfano (2015). Response to Open Peer Commentaries on “Placebo Effects and Informed Consent. American Journal of Bioethics 15 (10):1-3. Justin Caouette (2015). Robust Alternatives, Blame, and the Tax Evasion Case. Southwest Philosophy Review 31 (2):27-32. Helen De Cruz (2015). The Relevance of Hume's Natural History of Religion for Cognitive Science of Religion. Res Philosophica 92 (3):1-22. Clayton Littlejohn (forthcoming). Evidence and its Limits. In Conor McHugh Jonathan Way & Daniel Whiting (eds. ), Normativity: Epistemic and Practical. Oxford University Press. Clayton Littlejohn (forthcoming). The Right in the Good: A Defense of Teleological Non-Consequentialism in Epistemology. In Kristoffer Ahlstrom-Vij Jeff Dunn (ed. ), Epistemic Consequentialism. Oxford University Press. Kristina Meshelski (forthcoming). Procedural Justice and Affirmative Action. Ethical Theory and Moral Practice:1-19. Moti Mizrahi (2015). A Reply to Patton's "Incommensurability and the Bonfire of the Meta-Theories". Social Epistemology Review and Reply Collective 4 (10):51-53. David R. Morrow & Anthony Weston (2015). A Workbook for Arguments, Second Edition: A Complete Course in Critical Thinking. Hackett Publishing Company, Inc..
Tuomas E. Tahko (2016). Armstrong on Truthmaking and Realism. In Francesco F. Calemi (ed. ), Metaphysics and Scientific Realism: Essays in Honour of David Malet Armstrong. De Gruyter 207-218. Shelley Tremain (2015). New Work on Foucault and Disability: An Introductory Note. Foucault Studies (19). Shelley Tremain (2015). This is What a Historicist and Relativist Feminist Philosophy of Disability Looks Like. Foucault Studies (19). John Turri & Wesley Buckwalter (forthcoming). Descartes’s Schism, Locke’s Reunion: Completing the Pragmatic Turn in Epistemology. American Philosophical Quarterly. Guglielmo Feis & Jacopo Tagliabue (forthcoming). What’s New About New Realism? Mereology and the Varieties of Realism.Philosophia:1-12. Moti Mizrahi (forthcoming). Why Simpler Arguments Are Better. Argumentation:1-15. David R. Morrow & Anthony Weston (2015). A Workbook for Arguments, Second Edition: A Complete Course in Critical Thinking.Hackett Publishing Company, Inc.
Tuomas E. Tahko, Fundamentality and Ontological Minimality. Meg Wallace (2015). Ethics, Rights and Conscience Votes. Australian Humanist, The 118:3. Mark Zelcer (forthcoming). A Wide-Ranging Collection on Arithmetic and Other Matters. Metascience:1-3. Mark Zelcer (2015). Conscientious Objection and the Transformative Nature of War. Journal of Military Ethics 14 (2):118-122. Helen De Cruz (forthcoming). Disagreement, by Bryan Frances. Australasian Journal of Philosophy:1-1. Axel Gelfert (2015). Symbol Systems as Collective Representational Resources: Mary Hesse, Nelson Goodman, and the Problem of Scientific Representation. Social Epistemology Review and Reply Collective 4 (6):52-61. Justin Snedegar (2015). Contrastivism About Reasons and Ought. Philosophy Compass 10 (6):379-388. Moti Mizrahi (forthcoming). Historical Inductions, Unconceived Alternatives, and Unconceived Objections. Journal for General Philosophy of Science / Zeitschrift für Allgemeine Wissenschaftstheorie:1-10. Any I left out? Let me know! Corey Maley (2015). 'Is Consciousness a Spandrel? ', Journal of the American Philosophical Association, 1(2). Elisa Freschi (2015). "Review of Periodization and Historiography in Indian Philosophy, edited by Eli Franco", Journal of the American Oriental Society, 135.1, pp. 153--156. E. Freschi (2015). "Review of His Hiding Place is Darkness. A Hindu-Catholic Theopoetics of Divine Absence, by Francis X, Clooney, Exemplar. The Journal of South Asian Studies 3.1, pp. 54--56. Axel Gelfert (2015). Between Rigor and Reality: Many-Body Models in Condensed Matter Physics. In Brigitte Falkenburg & Margaret Morrison (eds. ), Why More Is Different: Philosophical Issues in Condensed Matter Physics and Complex Systems. Springer. 201-226. Trevor Hedberg (2015). Evidentialism and the Will to Believe, by Scott Aikin. Teaching Philosophy 38 (2):246-250. Moti Mizrahi (forthcoming). A Theory of Argumentation. [REVIEW] Metascience:1-4. Helen De Cruz (2015). Where philosophical intuitions come from. Australasian Journal of Philosophy. Helen De Cruz (2015). Philosophers who found success outside of the academy. The Philosophers' Magazine. E. Freschi (ed.) The reuse of texts in Indian Philosophy. Special Issue of the Journal of Indian Philosophy 42.2--3 (2015). Tuomas E. Tahko & E. J. Lowe, Ontological Dependence. Stanford Encyclopedia of Philosophy. Bradford Cokelet (2015). On H. D. Lewis’s “Does the Good Will Define Its Own Content? A Study of Green’s Prolegomena”. Ethics 125 (3):843-846. Elisa Freschi, "Between Theism and Atheism: a journey through Viśiṣṭādvaita Vedānta and Mīmāṃsā". In: Robert Leach and Jessie Pons (eds. ), Puṣpikā: Tracing Ancient India Through Texts and Traditions. Vol. 3, Oxbow Books Press, Oxford, 2015. Nicholas Joll (2015). Defending Adorno’s Practical Philosophy. International Journal of Philosophical Studies 23 (1):126-140. David Killoren (forthcoming). 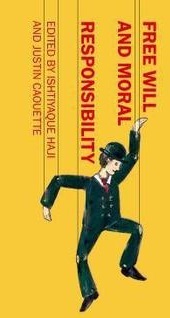 Robust Moral Realism: An Excellent Religion. International Journal for Philosophy of Religion:1-15. Clayton Littlejohn (forthcoming). Knowledge and Awareness. Analysis. Clayton Littlejohn (forthcoming). A Plea for Epistemic Excuses. In Fabian Dorsch Julien Dutant (ed. ), The New Evil Demon Problem. Oxford University Press. Clayton Littlejohn (forthcoming). Potency and Permissibility. In Ben Bramble Bob Fischer (ed. ), Stirring the Pot. Oxford University Press. Moti Mizrahi (forthcoming). An Argument for External World Skepticism From the Appearance/Reality Distinction. International Journal for the Study of Skepticism. Martin Shuster (forthcoming). "Nothing to Know" in Advance. Idealistic Studies.Martin Shuster (forthcoming). Espen Dahl and Stanley Cavell: Religion, and Continental Philosophy. International Journal for Philosophy of Religion:1-4. Meg Wallace (2015). Article 18: Redundant and Unnecessary? 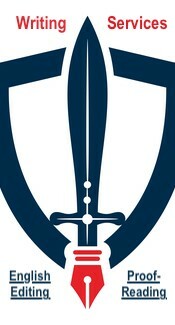 Australian Humanist, The 116:9. Anything I missed? Let me know and I'll update the list! Clayton Littlejohn (forthcoming). How and Why Knowledge is First. In A. Carter, E. Gordon & B. Jarvis (eds. ), Knowledge First. Oxford University Press. Moti Mizrahi (forthcoming). On Appeals to Intuition: A Reply to Muñoz-Suárez. The Reasoner. Meg Wallace (forthcoming). Rearming the Slingshot? Acta Analytica:1-10. Anyone I missed? If so, let me know and I'll update the list! Mark Alfano (forthcoming). Ramsifying Virtue Theory. In , Current Controversies in Virtue Theory. Routledge. 123-35. Mark Alfano (forthcoming). Friendship and the Structure of Trust. In Alberto Masala & Jonathan Webber (eds. ), From Personality to Virtue. Oxford. Mark Alfano (forthcoming). The Embedded and Extended Character Hypotheses. In Julian Kiverstein (ed. ), Philosophy of the Social Mind. Routledge. Mark Alfano (forthcoming). An Enchanting Abundance of Types: Nietzsche's Modest Unity of Virtue Thesis. Journal of Value Inquiry. Mark Alfano (forthcoming). Placebo Effects and Informed Consent. American Journal of Bioethics. Tuomas E. Tahko (forthcoming). The Modal Status of Laws: In Defence of a Hybrid View. Philosophical Quarterly. Axel Gelfert (forthcoming). How to Do Science with Models: A Philosophical Primer. Springer. Axel Gelfert (forthcoming). Disattendability, Civil Inattention, and the Epistemology of Privacy. Philosophical Analysis. Moti Mizrahi (forthcoming). Ought, Can, and Presupposition: An Experimental Study. Methode. Anything/anyone I missed? If so, just let me know and I'll update the list! Mark Alfano (forthcoming). Emotions in the Moral Life, by Robert Roberts.Mind:fzu133. Mark Alfano w/ Andrew Higgins & Jacob Levernier (forthcoming). Mapping Human Values: Enhancing Social Marketing Through Obituary Data-Mining. In Lynn Kahle & Eda Atay (eds. ), Social and Cultural Values in a Global and Digital Age. Marcus Arvan (2014). How to Rationally Approach Life's Tranformative Experiences. Philosophical Psychology. Bradford Cokelet, Virtue is a Great Moral Good. 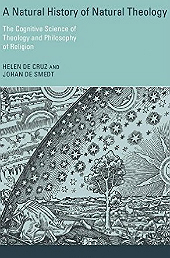 Helen De Cruz & Johan De Smedt (forthcoming). A Natural History of Natural Theology. The Cognitive Science of Theology and Philosophy of Religion. MIT Press. Chike Jeffers (forthcoming). The Ethics and Politics of Cultural Preservation.Journal of Value Inquiry:1-16. Clayton Littlejohn, A Note Concerning Conciliationism and Self-Defeat: A Reply to Matheson. David R. Morrow (2014). Earthmasters: The Dawn of the Age of Climate Engineering/A Case for Climate Engineering. 17 (3):370-373. Mark Zelcer (2014). Review of Noson Yanofsky, The Outer Limits of Reason: What Science, Mathematics and Logic Cannot Tell Us. [REVIEW]Philosophical Quarterly 64:383-385. Mark Zelcer (2014). Review of E. Brian Davies, Why Beliefs Matter: Reflections on the Nature of Science. [REVIEW]Science, Religion and Culture 1 (3):141-143. Nickolas Pappas & Mark Zelcer (2015). Politics and Philosophy in Plato's Menexenus: Education and Rhetoric, Myth and History.Routledge. Freschi, Elisa, Does the subject have desires? The Ātman in Prābhākara Mīmāṃsā. In: Ciotti, Giovanni and Visigalli, Paolo and Gornall, Alastair (eds. ), Puṣpikā: Tracing Ancient India Through Texts and Traditions. Contributions to Current Research in Indology. Freschi, Elisa, The Study of Indian Linguistics. Prescriptive Function of Language in the Nyāyamañjarī and in the Speech Act Theory. In: Joe Pellegrino and Alexander A. Stolyarov (eds. ), Open Pages in South Asian Studies. Woodland Hills, California: SASA books, pp. 27--62. Marcus Arvan (2014). A Unified Explanation of Quantum Phenomena? The Case for the Peer‐to‐Peer Simulation Hypothesis as an Interdisciplinary Research Program. Philosophical Forum 45 (4):433-446. Marcus Arvan (2014). Justice as Fairness in a Broken World. Philosophy and Public Issues 4 (2):95-126. Bradford Cokelet (forthcoming). Dispositions, Character, and the Value of Acts. In Christian Miller, R. Michael Furr, Angela Knobel & William Fleeson (eds. ), Character: New Directions from Philosophy, Psychology, and Theology. Oxford University Press. Bradford Cokelet (forthcoming). Virtue Ethics and the Demands of Social Morality. In Mark Timmons (ed. ), Oxford Studies in Normative Ethics, Volume 4. Oxford University Press. Helen De Cruz (2014). Where Philosophical Intuitions Come From. Australasian Journal of Philosophy:1-17. Elisa Freschi (forthcoming). The Reuse of Texts in Indian Philosophy: Introduction. Journal of Indian Philosophy:1-24. Moti Mizrahi (forthcoming). Three Arguments Against the Expertise Defense. Metaphilosophy. Did I miss anything? If so, just let me know and I'll update the list! Joshua Mugg (w/Muhammad Ali Khalidi) ‘The Inherent Bias in Positing an Inherence Heuristic.’ (2014) Behavioral and Brain Sciences 37: 493-494. Mark Alfano (forthcoming). Michael W. Austin, Ed. Virtues in Action: New Essays in Applied Virtue Ethics. Journal of Value Inquiry:1-6. Marcus Arvan (forthcoming). How to Rationally Approach Life's Transformative Experiences. Philosophical Psychology. Marcus Arvan (2014). First Steps Toward a Nonideal Theory of Justice. Ethics and Global Politics 7 (3):95-117. Marcus Arvan (2014). Why Hobbes Cannot Limit the Leviathan: A Critical Commentary on Larry May's Limiting Leviathan. Hobbes Studies 27 (2). Eric Kerr & Axel Gelfert (2014). The 'Extendedness' of Scientific Evidence. Philosophical Issues 24 (1):253-281. Moti Mizrahi (forthcoming). Phenomenal Conservatism and Self-Defeat Arguments: A Reply to Huemer. Logos and Episteme. Moti Mizrahi (2014). Are Seemings Trustworthy? A Reply to Piazza. The Reasoner 8 (9):100-101. Justin Snedegar, Ethics and Contrastivism. Internet Encyclopedia of Philosophy. Tuomas E. Tahko (forthcoming). Empirically-Informed Modal Rationalism. In Robert William Fischer & Felipe Leon (eds. ), Modal Epistemology After Rationalism. Synthese Library. Meg Wallace (2014). The Argument From Vagueness for Modal Parts. Dialectica 68 (3):355-373. Have I missed anything? If so, just let me know and I'll update the list! Elisa Freschi (forthcoming). Quotations, References, Etc. A Glance on the Writing Habits of a Late Mīmāṃsaka.Journal of Indian Philosophy:1-37. David R. Morrow (2014). Starting a Flood to Stop a Fire? Some Moral Constraints on Solar Radiation Management. Ethics, Policy and Environment,17 (2):123-138. Congrats! Feel free to mention any omissions in the comments section, and I'll update the list. Clayton Littlejohn (forthcoming). Oxford Handbook of X and Y.
Clayton Littlejohn (forthcoming). "Reasons and Theoretical Rationality." Oxford Handbook of X and Y.
Clayton Littlejohn (forthcoming). "Skeptical Thoughts Concerning Explanationism and Skepticism." Symposion. Moti Mizrahi (forthcoming). "The Fine-Tuning Argument and the Simulation Hypothesis." Think. Meg Wallace (2014). "Muslim women reformers: inspiring voices against oppression [book review]." The Australian Humanist. Congrats! If I missed anything, please let me know in the comments section and I'll update the post. Marcus Arvan (forthcoming). "A Unified Explanation of Quantum Phenomena? The Case for the Peer-to-Peer Simulation Hypothesis as an Interdisciplinary Research Program." The Philosophical Forum. Marcus Arvan (forthcoming). "Justice as Fairness in a Broken World." Philosophy and Public Issues. Marcus Arvan (forthcoming). "Why Hobbes Cannot Limit the Leviathan: A Critical Commentary on Larry May's Limiting Leviathan." Hobbes Studies. Clayton Littlejohn (forthcoming). "Fake Barns and False Dilemmas." Episteme. Moti Mizrahi (forthcoming). "Don't Believe the Hype: Why Should Philosophical Theories Yield to Intuitions?" Theorema. Justin Snedegar (forthcoming). "Deontic Reasoning Across Contexts." In F. Cariani (ed. ), DEON 2014. Springer. 208-223. Did I miss any? If so, please email me and I'll update the list! Trevor Hedberg (forthcoming). "Epistemic Superegogation and Its Implications", Synthese. Moti Mizrahi (forthcoming). "Essentialism: Metaphysical or Psychological? ", Croation Journal of Philosophy. Congrats! Anyone I missed? Let me know and I'll post them below! Matthew Duncombe (forthcoming). "Irreflexity and Aristotle's Syllagismos", Philosophical Quarterly. Moti Mizrahi (forthcoming). "Phenomenal Conservativism, Justification, and Self-Defeat", Logos and Episteme. Moti Mizrahi (forthcoming). "Constructive Empiricism: Normative or Descriptive? ", International Journal of Philosophical Studies. Moti Mizrahi (forthcoming). "Against Phenomenal Conservativism: a Reply to Moretti", The Reasoner. Tuomas Tahko (forthcoming). "Natural Kind Essentialism Revisited", Mind. Tuomas Tahko (2014). "Boring Infinite Descent", Metaphilosophy. Congrats to everyone listed on their hard-won accomplishments! If there are any publications by Cocoon contributors during the month of March 2014 that I have missed, please post them in the comments below and I will update the list, along with links. A.P. Taylor w/D. Hershenov (forthcoming). "Split-brains: no headache for the soul theorist", Religious Studies. I was delighted to learn today that Pete Mandik and Richard Brown mention the Cocoon and discuss my article "A New Theory of Free Will" in Episode 2 of their new philosophy podcast, "Spacetime Mind." The discussion goes from about 6:00-12:45 of the podcast, and gives a nice capsule summary of the paper's general idea. I'd like to thank Pete and Richard for taking the time to discuss my work, and for their kind words about it. More generally, I think Pete and Richard have started a really cool thing with Spacetime Mind. Their discussions so far are a lot of fun, and super interesting, and they have a great rapport (plus, the site looks great!). I hope it goes a long way, and encourage everyone to follow them! I recently announced that the Cocoon will have a new monthly feature: a monthly list of new and forthcoming publications by our contributors. Although I said I would begin in April, it occurred to me that I could just as well start now! Marcus Arvan (forthcoming). "First Steps Toward a Nonideal Theory of Justice", Ethics & Global Politics. Marcus Arvan (2014). "A Better, Dual Theory of Human Rights", The Philosophical Forum. Elisa Freschi (2014). "Freedom Because of Duty", In Matthew R. Dasti & Edwin F. Bryant (eds. ), Free Will, Agency, and Selfhood in Indian Philosophy. Oxford University Press. Elisa Freschi w/Philipp Andre Maas (forthcoming), "Adaptive Reuse of Texts, Ideas and Images in Classical India." Deutsche Morgenländische Gesellschaft. Harrassowitz. Elisa Freschi w/Philipp Andre Maas (forthcoming), "Proceedings of the Panel on Adaptive Reuse at the Dot Conference", Münster. Elisa Freschi (forthcoming). "Systematizing an absent category: discourses on “nature' in Prābhākara Mīmāṃsā." In Raffaele Torella & Giorgio Milanetti (eds. ), The Human Person and Nature in Classical and Modern. Elisa Freschi w/Artemij Keidan (forthcoming). "Understanding a philosophical text: a multi-disciplinary approach to the problem of “meaning' in Jayanta's Nyāyamañjarī, book 5. In Patrick McAllister & Helmut Krasser (eds. ), Jayanta on Buddhist Nominalism. Clayton Littlejohn (forthcoming). "Know Your Rights: On Warranted Assertion and Truth", Erkenntnis. Moti Mizrahi & David Morrow (2014). "Does Conceivability Entail Metaphysical Possibilty? ", Ratio. David Morrow (2014). "Why geoengineering is a public good, even if it is bad", Climactic Change. Justin Snedegar (forthcoming). "Contrastive Reasons and Promotion", Ethics. Kyle Powys Whyte (2014). "Indigenous Women, Climate Change Impacts, and Collective Action", Hypatia. Please do let me know of any omissions, and I will update the list! Robert William Fischer (forthcoming). "Theory Selection in Modal Epistemology", American Philosophical Quarterly. Martin Shuster (2014). 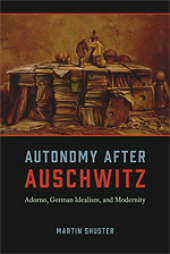 Autonomy After Auschwitz: Adorno, German Idealism, and Modernity, University of Chicago Press. Patrick Taylor Smith (forthcoming). "Instrumentalism or Constitutivism: A Dilemma for Accounts of Transnational Political Authority", Transnational Legal Theory. Theorists have long debated whether John Rawls’ conception of justice as fairness can be extended to nonideal (i.e. unjust) social and political conditions, and if so, what the proper way of extending it is. This paper argues that in order to properly extend justice as fairness to nonideal conditions, Rawls’ most famous innovation – the original position – must be reconceived in the form of a “nonideal original position.” I then systematically construct a nonideal original position, showing that although its parties must have Rawls’ principles of ideal justice and priority relations as background aims, the parties should be otherwise entirely free to weigh those aims against whatever burdens and benefits they might face under nonideal conditions. Next, I show that the parties ought to aim to secure for themselves a special class of “nonideal primary goods”: all-purpose goods similar to Rawls’ original primary goods, but which in this case are all-purpose goods individuals might use to (A) promote Rawlsian ideals under nonideal conditions, (B) weigh Rawls’ principles of ideal justice and priority relations against whatever burdens and benefits they might face under nonideal conditions, and (C) effectively pursue their most favored weighting thereof. Finally, I defend a provisional list of nonideal primary goods, and briefly speculate on how the parties to the nonideal original position might deliberate to principles of nonideal justice for distributing them. I would also like to take this opportunity to thank everyone who, in ways large or small, contributed in some way to the development of my ideas on the subject, and to the development of the paper. I am truly thankful.